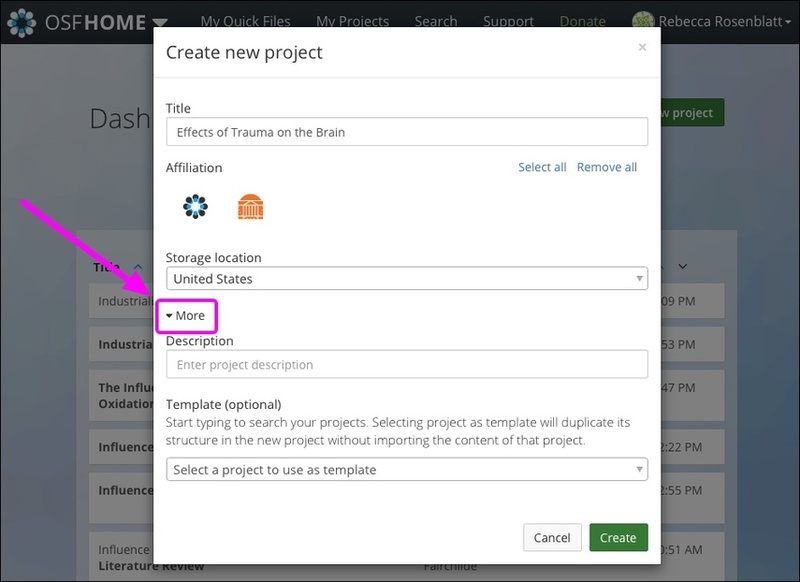 You can create a new project using another project's structure as a template. 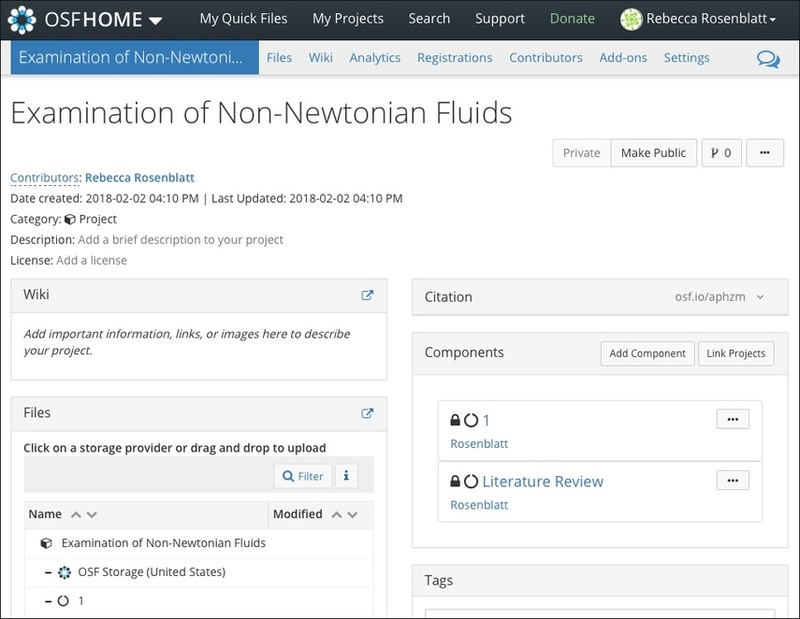 When you use a project as a template, the project along with any components and their titles will be copied to the new project. Only the structure will be duplicated and not the content. 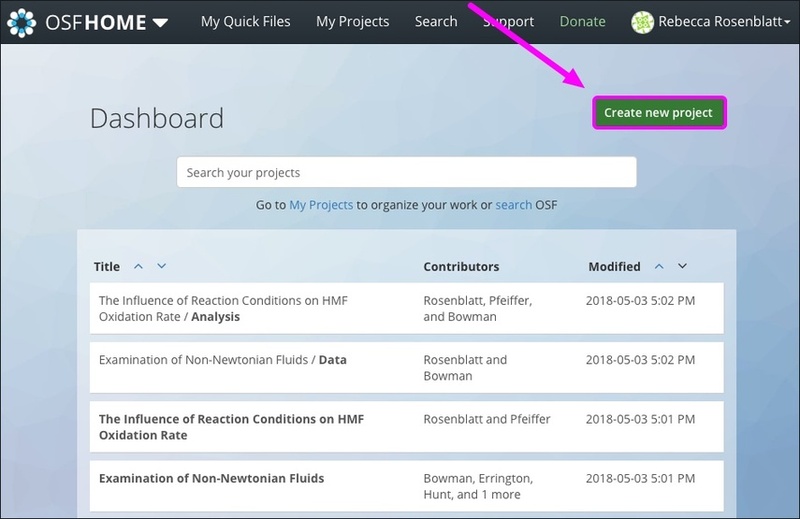 First, sign in to the OSF and your dashboard will appear. 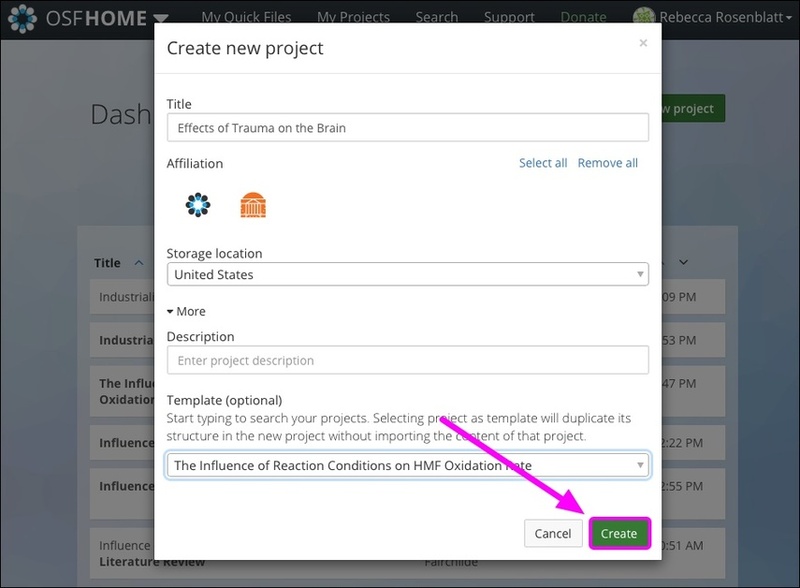 Click the Create new project button on your dashboard. The "Create new project" modal will appear. 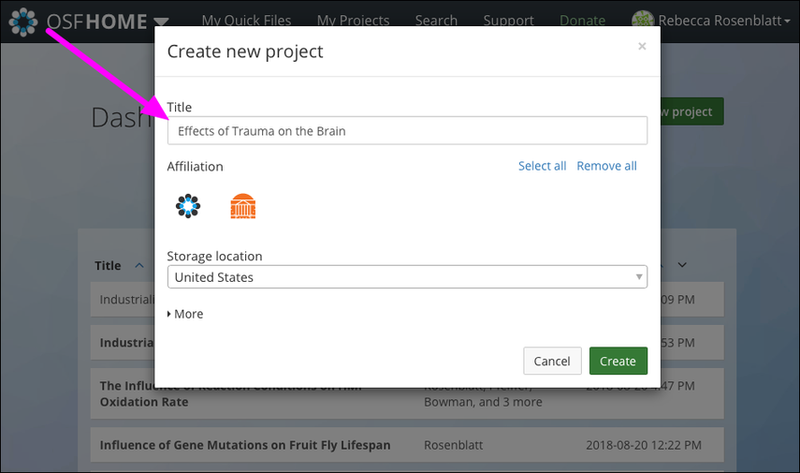 Enter a title for your project into the first field. Then click More button, and a drop-down section will appear. Select the project whose structure you want to copy from the "Template" menu. Your new project will be created from the template. 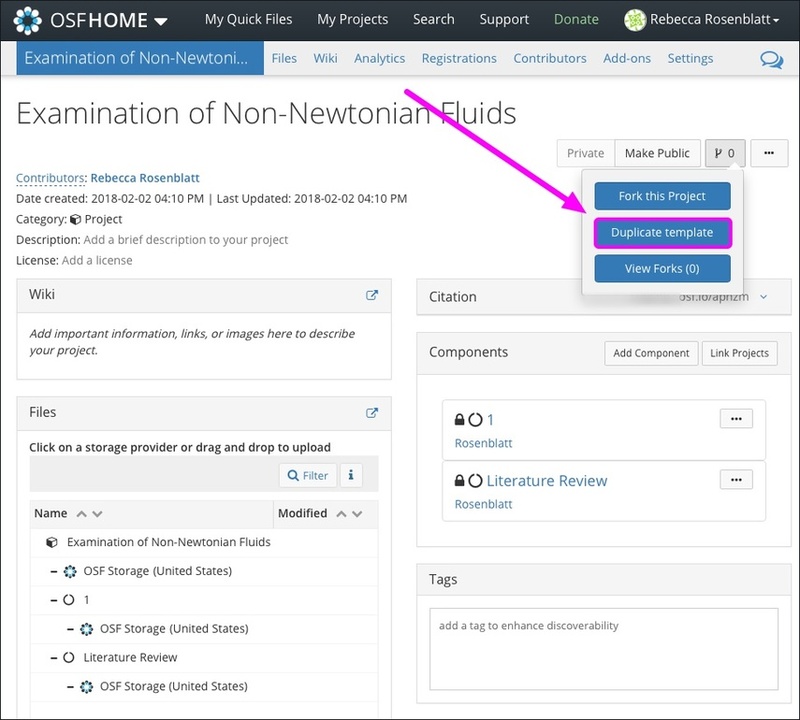 Note that this workflow works for both your public and private projects, as well. 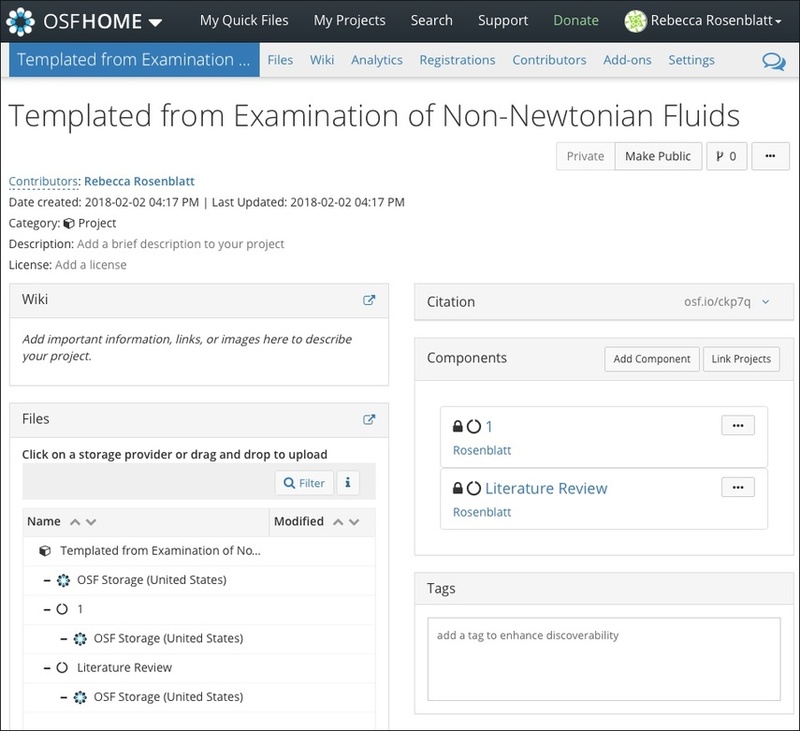 Open the project that you want to use as a template. Then click the Fork icon in the top right of the page. Click the Duplicate template button from the drop-down menu. 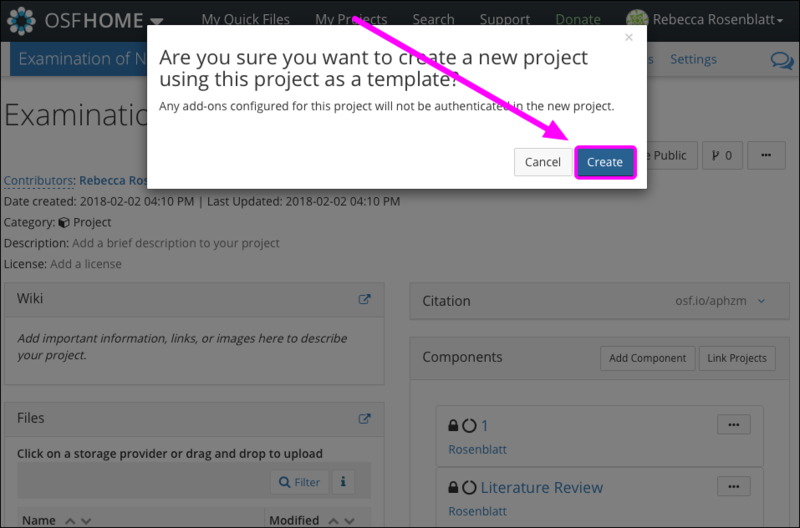 A modal will appear, asking you to confirm whether you want to create a new project using this project as a template. Any add-ons connected to the project will not be copied into the template. 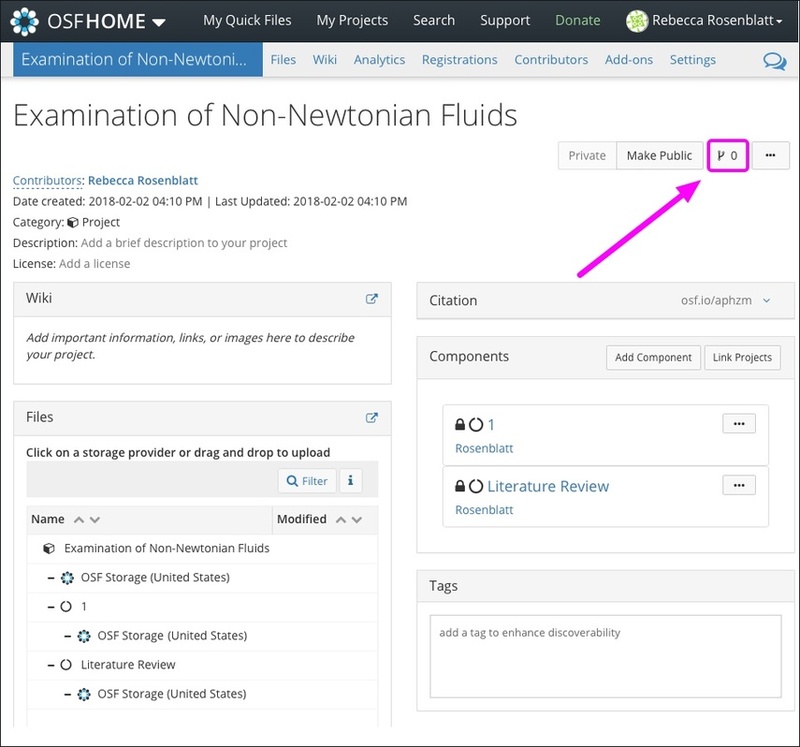 Your new project title will begin with "Templated from..." To change the name of your project, see our Rename a Project help guide.